Toombs County is a county located in the state of Georgia. Based on the 2010 census, the population was 26,067. The county was created on August 18, 1905. The county seat is Lyons. The county is named in honor of General Robert Toombs (1810-1885), a U.S. Senator and the Confederate States Secretary of State. Toombs County is part of the Vidalia, GA Micropolitan Statistical Area. The county was named for Robert Toombs, the Confederacy's Brigadier General and Secretary of State. Toombs had served in both houses of the US Congress, but was a leading secession advocate at the Secession Convention at Milledgeville. Toombs County , the 142nd county formed in Georgia, was created in 1905 from parts of Emanuel, Tattnall and Montgomery counties. The county was named for Robert Toombs, the Confederacy's Brigadier General and Secretary of State. Toombs had served in both houses of the US Congress, but was a leading secession advocate at the Secession Convention at Milledgeville. Toombs County is most famous for its sweet Vidalia onions, the state vegetable of Georgia. In fact, Vidalia is known as the "Sweet Onion Capital of the World." Plain onion seeds, when planted in the sandy loam soil of Toombs County, grow onions that are sweeter and juicier than the average onion. 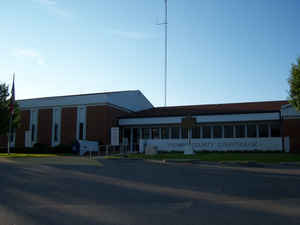 The Ladson Genealogical Library, located in Toombs County, is one of the largest of such libraries in the Southeastern United States. As reported by the Census Bureau, the county has a total area of 371 square miles (960 km2), of which 364 square miles (940 km2) is land and 7.0 square miles (18 km2) (1.9%) is water. 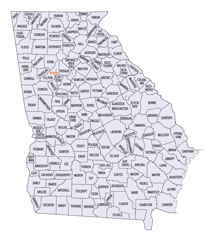 Toombs county is located in southeast Georgia. 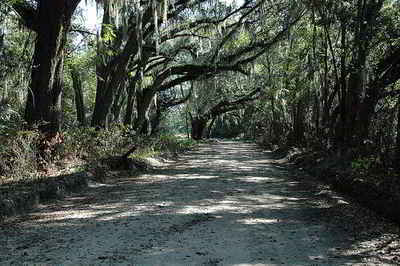 The county is in the Altamaha River basin. The Altamaha River forms the county's southern border.